Dr. Reema Hadi is a Sydney based Female Plastic and Cosmetic Surgeon located in Gymea in the Sutherland Shire. 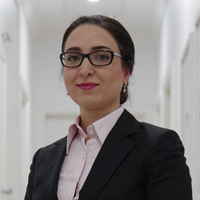 Dr Hadi has undergone 12 years of post-graduate training to become a Specialist Plastic Surgeon, and obtain her fellowship from the Royal Australian College of Surgeons in Plastic Surgery. This encompasses Aesthetic, Reconstructive and Hand surgery. Dr Hadi completed her medical degree from the University of New South Wales in 2003, including research at John Hopkins University in Baltimore, USA. Prior to her Plastics training, she successfully completed Basic Surgical Training, and undertook General Surgical Training Program at the Royal Australasian College of Surgeons. Dr Hadi completed three years of General Surgery training including a year of training in Vascular Surgery and trauma surgery, and undertook a Masters in Surgery by research from the University of New South Wales in 2010. She published research on biofilms and infection control of surgical equipment and the surgical theatre environment.